I can understand that some home owners may want to try marketing and selling their home on their own (FSBO) since it appears to be pretty easy at first and then of course there is the perceived cost savings. Should you decide to give it a try, I sincerely wish you the very best of luck and encourage you to take full advantage of the essential tools and resources I offer to home sellers throughout my web site. I have placed convenient links to relevant information and tools into the sidebars of this page for your use. There is no catch, they are absolutely free, without any obligation whatsoever! As a matter of fact my entire web site is at your command. Just take whatever information may be of help in your endeavor. However, should you become disenchanted with selling your home on your own please consider giving me a call at once. I really can help, I am actually really good at it, this is what I do for a living, and I absolutely can make the entire selling process easy on you! Just take these facts into consideration! Reality is that only a small percentage of home owners successfully and profitably sell their home on their own. This may vary a little bit from region to region and the number goes up slightly for professional real estate investors since they are much more familiar with real estate transactions than the average homeowner. But even the majority of investors prefer working with a professional Realtor® instead, and for very good reasons. As recent comparison tests show, those that do sell their home or investment property successfully usually end up accepting not only a lower price, but they actually net less than if they had hired a qualified real estate agent to begin with. This happens because almost all FSBO home sellers overprice their property at the beginning which forces them to reduce the price later on, and repeatedly, when there is no interest. Currently it would take between eight to nine months to sell all the properties listed for sale within our region, also known as the "Unsold Inventory Index". This is based on the recent sales pace and does not even take into account all the new listings that will come up for sale during that time. Just imagine how much longer it would take if we Realtors® wouldn't have all these marvelous tools of our trade, such as a professional multi-media marketing solution, "The Multiple Listing System (MLS)", our targeted "Internet Advertising" and informative "Web Sites", our attention grabbing "Property Sales Fliers, Postcards, Newspaper & Magazine Ads and Yard Signs", just to name a few. So why are real estate professionals, the "MLS" and the "Internet" such a big help? Well, if you personally run an ad to sell your home, you not only have to pay for it, you must also figure out what to say, where to place it, when to place it and in the end you can only sell it to those that eventually read it, if they get in touch with you. And selling on your own has just become more difficult due to our current real estate market conditions. That very much limits demand and results. Less demand for a product means it usually sells slower and eventually at a lower price. Realtors® on the other hand share information about your home via the "MLS" and the "Internet" with all the other agents and brokers in the area, automatically and exponentially increasing exposure and demand for your home. Not only does my company advertise your home, but so do many of the other brokerages because they want to attract new clients too. As a result, not only are our agents working to sell your home, but so are all the other "MLS" members. My marketing efforts are actually multiplied by those of all the other agents in the area. Furthermore, only a licensed real estate agent is able to hold an "Broker Open House", which happens when the listing agent invites other area agents to view the home when first placed on the market, knowing that many of these agents are working with buyers interested in this type of home. Many times a home is shown within a few days to interested buyers by agents that attended the "Broker Open House" earlier. Fact is about 80% of homes are sold because of agent to agent interactions. Overall my marketing and selling efforts dramatically improve demand and results. More demand for a product means it usually sells faster and very likely at a much higher price. Furthermore as an experienced Realtor® I bring an entire support system of trusted, reliable and essential professionals to the table, such as appraisers, inspectors, mortgage advisers and attorneys, just to name a few. What are other problems with FSBO properties? A FSBO (For Sale by Owner) lawn sign or news paper ad is a sure magnet for low ball offers, for one. Just think of the buyers that want not just a deal, but a steal right now. Have you ever seen these late night "Infomercials" about how to get rich quick in real estate? The number one method advertised is to find a steal, often by taking advantage of someone who is not prepared for it in the slightest. Then there are the phone calls, e-mails and unannounced stop overs by anyone driving through your neighborhood on weekends. Who takes care of them? Who answers them? What do you say? How do you entice a legitimate, potential buyer to come and have a look at your home at the right time? When you're available to show it? How do you convince them to make an offer? Where do you get the right forms? What forms do you need? Should you counter offer? How do you counter offer? Is the buyer qualified? Do they have money for a down payment? Do they have good credit? How do you check their credit? Can they get a mortgage? What questions do you need to ask? Is your buyer's bank or loan officer cooperative? Does your buyer employ a buyer's agent? How do you avoid mistakes? Where can you get some professional advice? There are also lots of other details. Do you need a lawyer? Escrow company? Title company? Title Inspection? Title Insurance? Termite inspection? Home inspection? Radon test? Mold test? Well water test? What about burried oil tanks? Warranties? Guarantees? Certificate of Occupancy? Disclosures? Disclosure requirements vary very much by state, but usually include information on lead-based paint and known defects. If you know of any such info but keep it to yourself, you could be committing a prosecutable offense and at the very least have one highly irate buyer on your hands. And many times there will be not just one but numerous problems along the way. And who will take care of all that? Well, selling your home on your own isn't so easy after all. I am very much biased, of course, since as a full-time real estate professional I am very eager to help you out. Please call me when you're ready to take me up on my offer! The local real estate database search engines are provided by "LoHud.com" powered by "The Journal News". 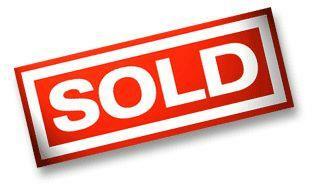 Please click on the SOLD sign above to begin your search for detailed real estate sales transaction statistics for all communities located within Westchester, Rockland and Putnam Counties as early as 1993. Please click on the logo below to research STAR school tax rebate amounts by income level for all New York State counties, their municipalities and school districts.